Thin-sliced vegetables in a light vinaigrette are light and refreshing, perfect for warmer weather and also a lovely change if you’ve been eating a lot of lettuce and it’s starting to get a little repetitive. Why not switch it up and try something new? 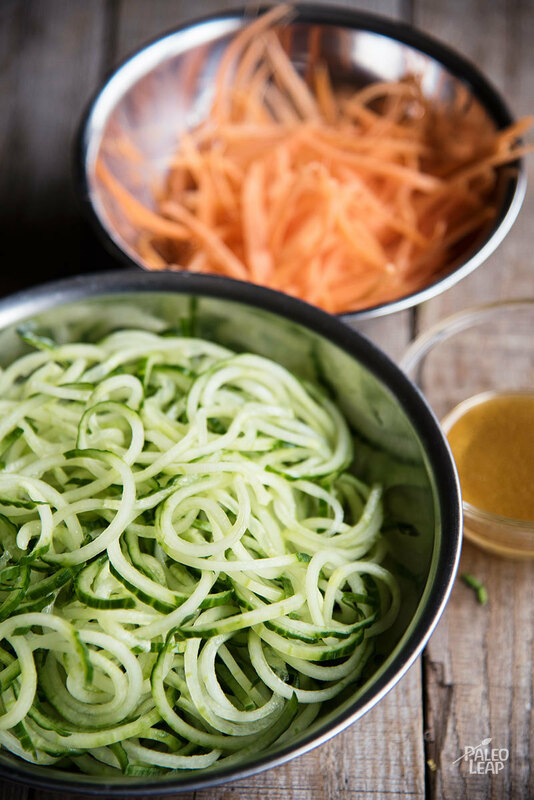 To get the cucumbers and carrots ready for this salad, the fastest tool is a spiralizer. If you don’t already have one, they’re really cheap and they can magically transform just about any vegetable into a spiraling noodle shape. It’s convenient to have one for making Paleo noodles out of zucchini and other vegetables, but they’re also a lot of fun for that birds-nest tossed salad look. If you don’t have one, a mandolin or any other method of slicing the vegetables into thin slivers will do just as well. Try this salad with anything inspired by east Asian cuisine – what about some seared tuna with a crunchy sesame crust? Or maybe some quick spicy shrimp? Or try it with grilled steak; it would be a nice contrast and easy to throw together on the side. 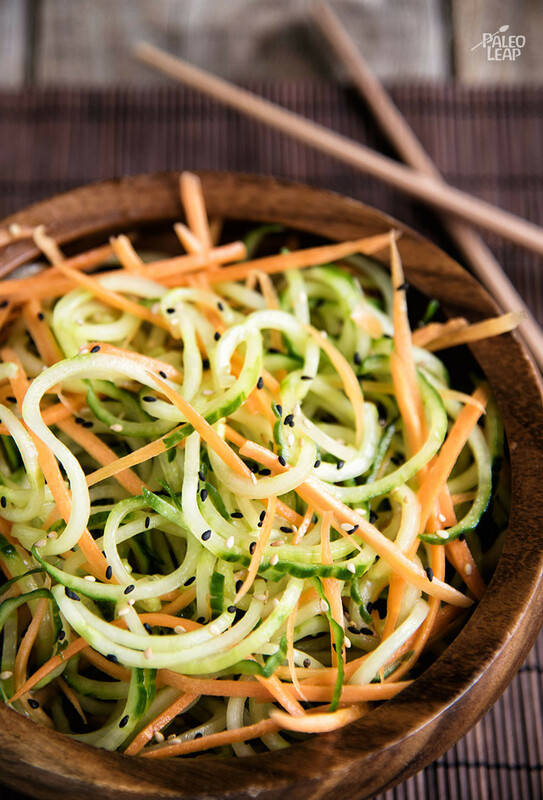 Cut the cucumbers and carrots into thin strips using a mandoline, spiralizer, or a knife. In a bowl, whisk the olive oil, white wine vinegar, lime juice, and season with freshly ground black pepper to taste. In a salad bowl, combine the cucumbers, carrots, and green onion. Pour the dressing on top, and toss gently. Drizzle with sesame seeds before serving.